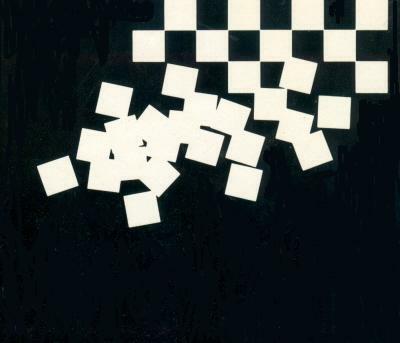 The December 1984 Newsflash (page 13) contains a regrettable critique of the double album ‘CHESS’ by B. Andersson, T. Rice and B. Ulvaeus, written by the magazine’s music correspondent, ‘P.B.’. We read that ‘the essential problem is that it’s hardly an entertaining tale: it’s pretty intense and serious’, and that too many of the songs are ‘severe, daunting ... but just not fun’. Clearly the reviewer would have preferred Mary Poppins II. ‘CHESS’ is no less ‘fun’ than earlier musicals about such rib-tickling subjects as Argentine dictators and crucifixions. In fact, it is a superb production with no end of intelligent lyrics for the discerning and plenty of ‘catchy’ music for others. A vast number of aspects of the game are treated with wit, style and realistic cynicism: the shallow patriotism and pride of locals and match organizers, to say nothing of their greed (‘all major credit cards taken of course’); the rapport between a top player and his fans; the East-West conflict and the hypocrisy that arises in pre-match negotiations; the question of trust between a great master and his seconds; the rigidity of arbiters; the vulgarity of merchandisers; the Soviet Union’s political record; the difficulties of childhood for a gifted player ... all this and some beautiful sequences about – forgive us the Americanism – human relationships. Anyone following Newsflash’s advice to borrow someone else’s copy of the double LP before deciding whether to buy will be exercising unnecessary caution. Number: RCA Polar PL 70500(2). During a snap visit to London in July we saw the musical ‘CHESS’. It was evidently Nordic Night, for the Prince Edward Theatre was full of blond juveniles, many of whom were eager to promulgate their inside-out knowledge of the lyrics as if in an audition rather than an auditorium. The young lady immediately behind us sang along like a dying sea-lion, breaking off only occasionally to munch nuts individually wrapped in greaseproof paper. The owner of the most expansive pair of thighs in the West End, as mobile as anything that graced the stage during the dance sequences, she was, however, less of a torment than the Euwe-sized gentleman just in front of us. Alas, the theatre provides binoculars but not periscopes. Down on stage, or on the narrow strip that was visible, the cast had something of a second-eleven look, and the additional songs seemed strikingly inferior to those on the much-loved double album. The show received only a lukewarm reception, except in the row behind, where the self-applause of the performing seal provoked a small seism over a five-seat radius. Bruised and crick-necked, we descended to a little kiosk which sells a variety of ‘CHESS’ articles. 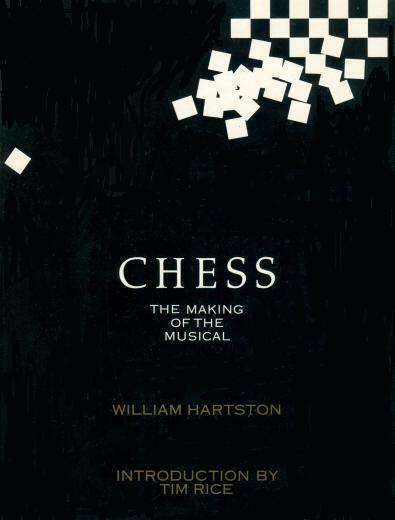 The most interesting was a book Chess The Making of the Musical by William Hartston. Published in 1986 by Pavilion Michael Joseph (196 Shaftesbury Avenue, London WC2H 8JL) at £10.95, it has been ignored by chess magazines and book-dealers. In addition to the inside account of how the show was produced (illustrated with dozens of excellent colour photographs), the book contains a fair amount of popular chess history. Hartston’s comic inventiveness is as sharply tuned as ever. At the end of November 2018 the curators of the Digital Collections of the New York Public Library added a fine set of photographs. The precise source is Martha Swope Photographs Collection, available via the Billy Rose Theatre Division. Latest update: 30 December 2018.